You are here: Home / News / Yes I Am 25th Anniversary Tour! Yes I Am 25th Anniversary Tour! 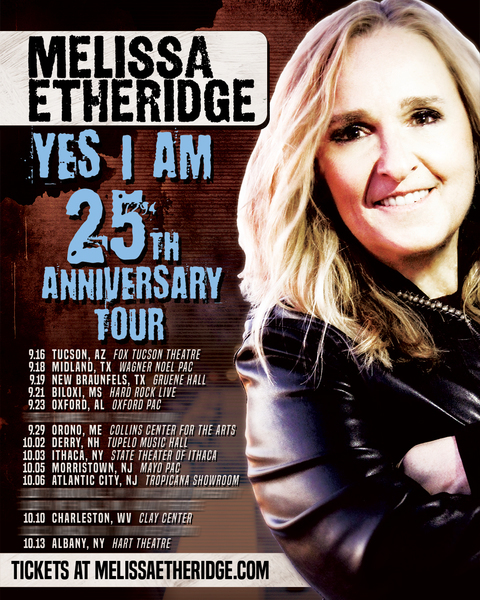 To celebrate Melissa's seminal album Yes I Am, Melissa has announced a 25th Anniversary tour this year! Most tickets go on sale this Friday, June 15th on MelissaEtheridge.com/Events. Stay tuned for more dates announcing soon!